8th Annual Lowcountry Blueberry Festival Sunday June 24!!! Certified South Carolina Roadside Market Saturdays 10-4 and Sundays 12-4 pm at the farm, 9760 Randall Rd near McClellanville. Look for the big blue signs on Hwy 17! We are delighted to share the news...we are expecting the biggest crop of blueberries yet, with many of the bushes still flowering while others are setting fruit. It will be early June before they sweeten up enough to share with you, so put it on your calendar and get ready. It's time for spring plantings of flowers for bees, bee colony inspections, and checking hive health. Our beekeepers logbook for the Lowcountry includes more details and special information about garden plantings. For personalized visits to our apiary, contact us at info@bluepearlfarms.com. Opening day at Charleston Farmers Market is tomorrow (Saturday), April 14 and we would love to see you in Marion Square. 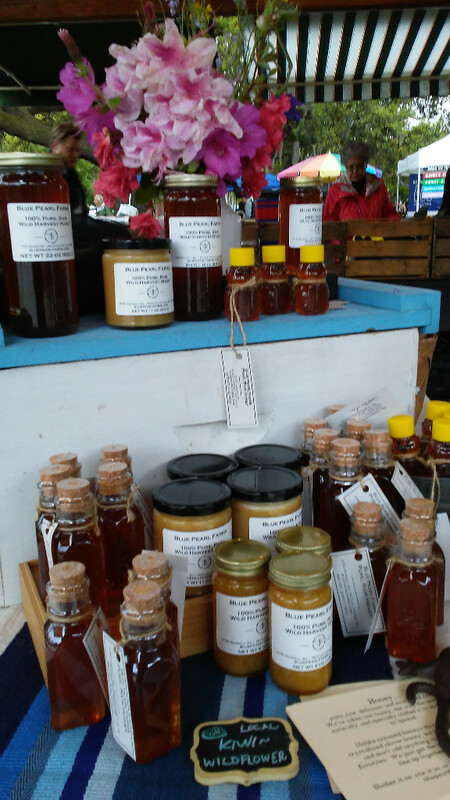 Our farmers markets at the farm, Marion Square and at Moultrie Middle School in Mt Pleasant are fully stocked with blueberry sauces, honeys, and our skin solutions. Stop by to sample them all and find out more about the choices we make so you get the cleanest, best tasting and feeling goods possible. 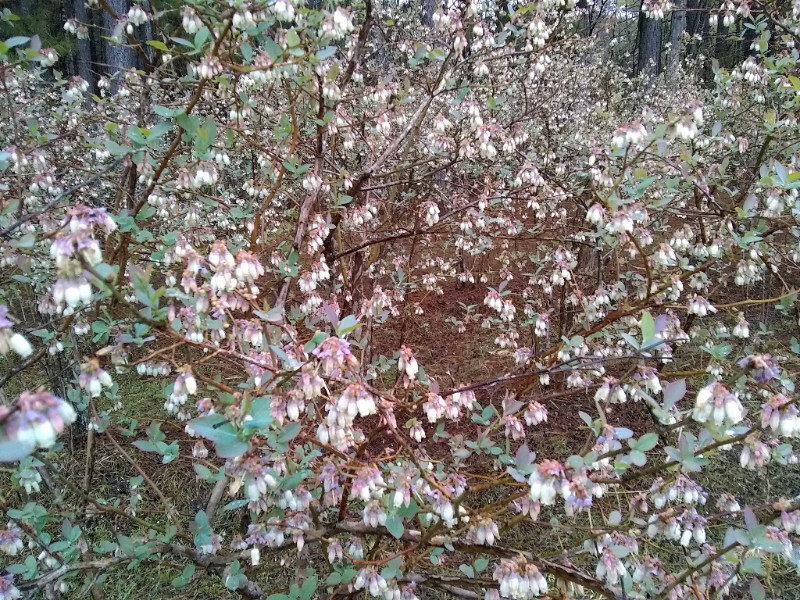 We are working with volunteers all month to get the final spring tasks complete...come out and spend some time with us in the blueberry patch and go home with a blueberry plant or other farm treats and experiences. Call 843-887-3554 or email info@bluepearlfarms.com to find out more. Copyright © 2018 Blue Pearl Farms, All rights reserved.